Time sure flies when you are having fun! What began more than 30 years ago as the Coquitlam District Honour Choir, has grown to a multi-age choral organization that has seen hundreds of singers come through the choral programs. 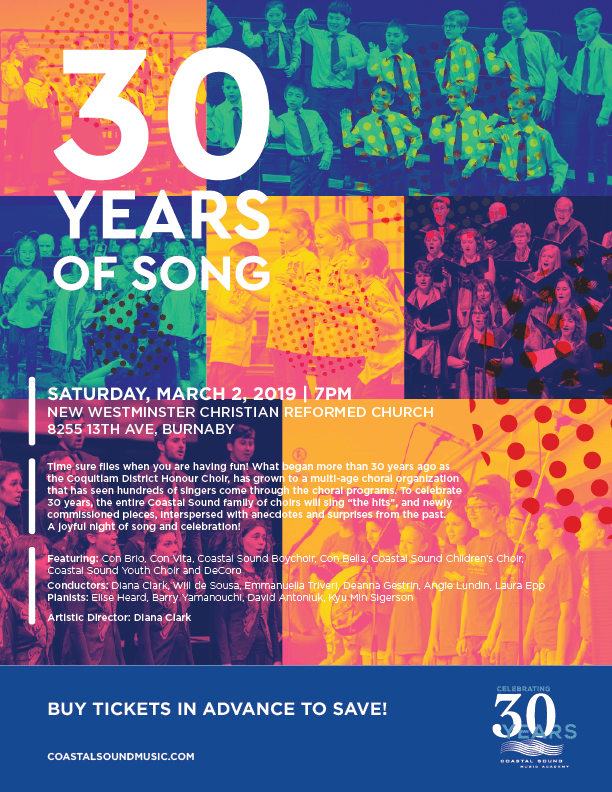 To celebrate 30 years, the entire Coastal Sound family of choirs will sing “the hits”, and newly commissioned pieces, interspersed with anecdotes and surprises from the past. A joyful night of song and celebration!